This Linen Table Skirt with Round Layout is Perfect for Covering Up Scratched Surfaces! Decorating for Upcoming Receptions and Parties has Never Been Easier! Purchase this Economy Table Skirt in Bulk to Equip an Entire Location! Machine washable & wrinkle resistant, designed for repeated use. 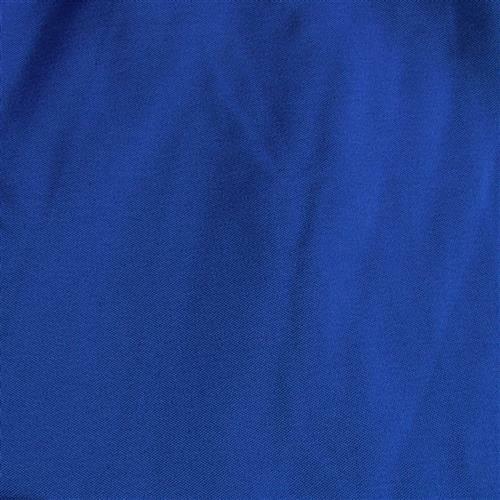 Royal blue polyester provides deluxe style at a discount price. 11' diameter designed for tables measuring 6' across. 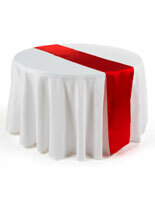 A polyester construction makes this table skirt ideal for repeated commercial use. This tablecloth is machine washable and wrinkle resistant. The table skirt is made from polyester because that is what customers typically demand. 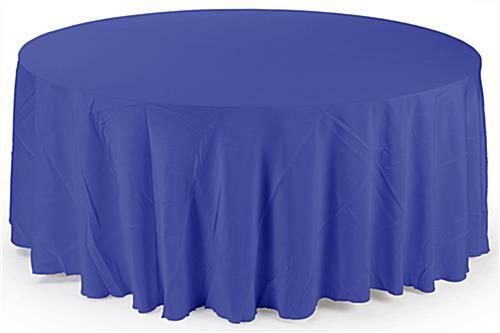 These tablecloths cost a fraction of the price that covers made from other materials do. Commercial grade style and quality, combined with a discounted price makes these tablecloths an incredible value! The table skirt is an essential part of the presentation of any banquet dining area or exhibition hall. These tablecloths will ensure the tables at your next trade show, wedding, or other occasion look great! With an 11 ft. diameter, this table skirt is engineered for tables 30" high and 72" across. The tablecloth is designed to drape over all sides of the table evenly. A table skirt, like a throw or runner, looks best when it fully covers the legs of a table, as is the case with this option. In addition to a beautiful design, these tablecloths are constructed for durability and repeated use!